I well remember as a puny 13 year old taking to the rugby field for the first time with lads who were much bigger than me and hating every minute. I liked football, I was pretty good in goal and had quick feet as a winger, yet none of that mattered in a school that almost exclusively played rugby in winter and cricket in summer. Likewise “athletics” was confined to short sprints or one or two laps of the track. I was never the fastest and I realised later in life I was quite good at running longer distances. I still am. I enjoyed writing and creativity yet only achieved moderately good marks in English. Ditto music and my school years played no part in developing the interests I have now or the skills I’ve acquired since. The system failed me and others. 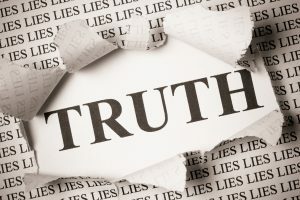 Failing to nurture talent and harness potential is irresponsible and I think the same accusation might be leveled at many organisations public and private, large and small. And while we talk about encouraging diversity and talent, these are broad concepts that remain elusive to many. I know this because people often tell me. So how to assess potential? How to make sure we don’t bury talent? Have proper and meaningful discussions with our people. Do less “appraising” and do more listening. Host conversations that help the individual navigate their own development path. If we are going to set objectives then we should make them stretching and developmental. Devise career paths that encourage people to travel laterally as well as vertically in the organisation. Progression is far too often associated with Promotion and it needn’t be. Your future CEO could well have first hand experience of Sales & Marketing, Operations, IT and Human Resources, so we need to provide placements and mentors to allow that to happen. Host regular “Development Centres” to assess potential of staff. These can be quite demanding for the individual and are resource heavy to run but they will help you identify a rich layer of talent and give a much clearer indication of people’s strengths and limitations. It’s also possible now to use diagnostics and you can find the new High Potential Traits Indicator on our pages. I think it’s a really useful tool and accompaniment to your initiatives around Talent and Succession Planning. Potential is all around us. I’m interested in your thoughts as to how we make sure this most precious of resources isn’t squandered. With the challenges we have in the world, we are going to need it. What traits and characteristics does your organisation need going forward? 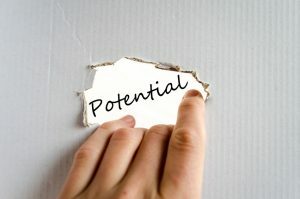 How do you recognise potential? What systems do you have to nurture Talent?